A new electronic device ban has been announced in the US and UK for passengers traveling from 9 different countries in the Middle East because of a rising terrorist activity. Along with this new ban came many questions about efficiency, the reasons behind the ban, and who would be affected. The new ban was distributed in an email described as “confidential” from the US transportation safety administration (TSA) on the 20th of March. The new regulations forbid all passengers from bringing Ipads, Kindles, and even cameras larger than mobile phones into the cabin. The affected countries include: Turkey, Jordan, Egypt, Saudi Arabia, Kuwait, Morocco, Qatar, Dubai and Abu Dhabi. “There is a lot of terrorism happening within America, by Americans themselves; there’s also a lot of terrorism happening outside of the Middle East. I don’t think it’s fair to be assuming that terrorist attacks are exclusive to the Middle East,” Simba 19’ highlights. Families today are lucky enough to be able to plug in their kids for the long flights around the world. The noise coming from smaller kids drastically decreases when they are busy with their electronics. 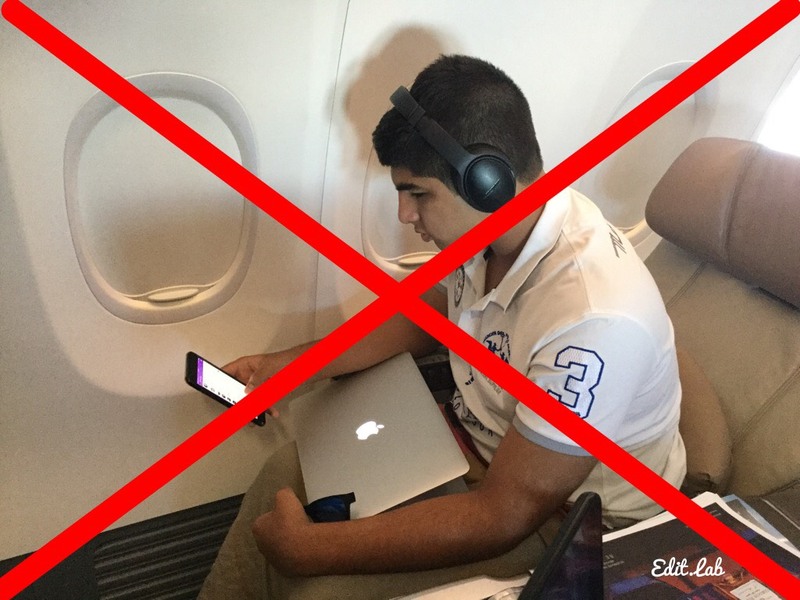 Now that electronics are banned, families will either be forced to leave their kids without electronics during the plane ride, or have to buy the more expensive planes with built in TV’s. Canada, Australia, and New Zealand have been informed with the same terrorist issue, but have not felt the need to impose similar restrictions. Neither has France and Belgium.